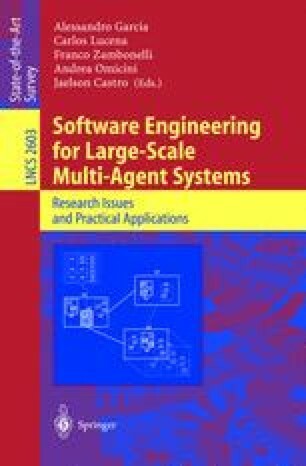 Fundamental challenges in engineering of large-scale multiagent systems involve qualitative requirements from, e.g., ambient intelligence and network-centric operations. We claim that we can meet these challenges if we model our multi-agent systems using models of evolutionary aspects of living systems. In current methodologies of multi-agent systems the notion of system evolution is only implicitly addressed, i.e., only closed patterns of interaction are considered as origin of dynamic system behaviour. In this paper we argue that service discovery and conjunction, by means of open patterns of interaction, are the basic tools for sustainable system behaviour. In effect, we introduce a framework for sustainable information ecosystems. Consequently, we describe basic principles of our methodology as well as a couple of applications illustrating our basic ideas. The applications coexist on our supporting agent society platform Solace and their respective behaviour is visualized using our system analysis tool Discern. The paper is concluded with a summary and a number of open research issues in the area.